Published by The Religious Tract Society, 4 Bouverie Street, London First edition 1936. 1936. First edition hard back publisher's original black cloth covers, turquoise stamping to spine and upper panel. 8vo 7½" x 5¼" 224 pp. Near Fine in Very Good dust wrapper with small chip to spine tip, light rubbing to corners, not price clipped. Dust wrapper protected. Member of the P.B.F.A. 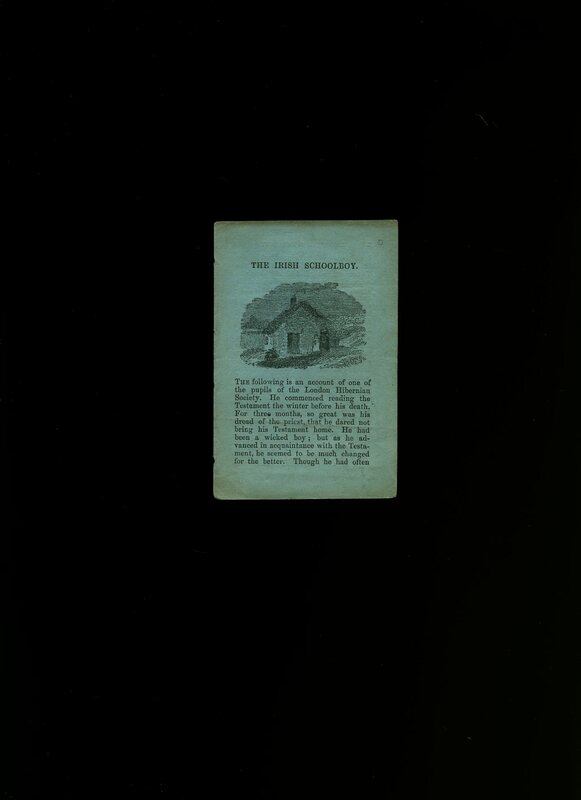 Published by The Religious Tract Society 56 Paternoster Row, London circa 1890 edition not stated. 1890. Orange cloth covers, gilt titles and designs to spine and upper panel. 8vo. Prize plate to upper paste down, monochrome frontispiece. Centre page section shaken, corners and spine ends turned in. Member of the P.B.F.A. Published by The Religious Tract Society 56 Paternoster Row and 65 St. Paul's Churchyard, London circa 1900. 1900. 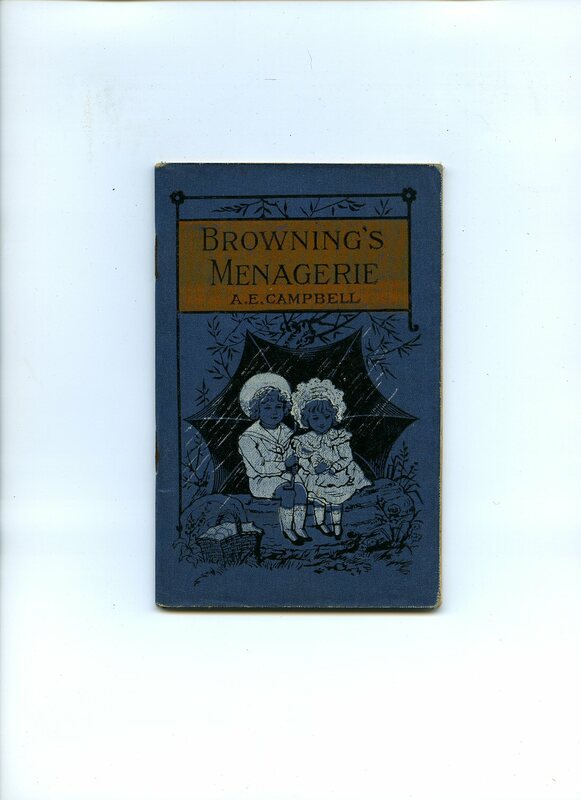 Publisher's original stapled monochrome illustrated linen cloth card wrap covers. 12 mo. 6½'' x 4¼''. Contains 48 printed pages of text with monochrome frontispiece and engraved title page. Small ownership name and in Very Good clean condition. We currently hold in stock 6 other Threepenny Book titles. Member of the P.B.F.A. 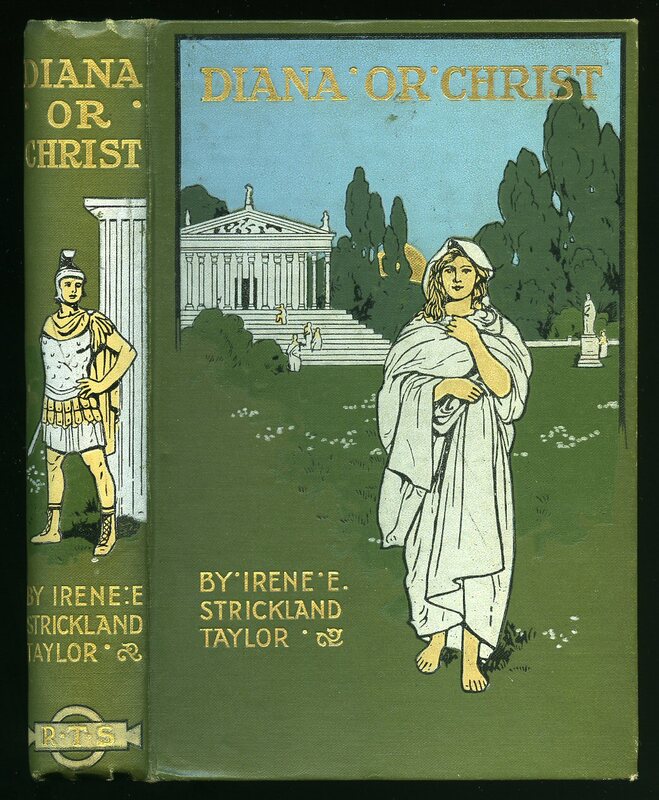 Published by The Religious Tract Society, London 1911. 1911. 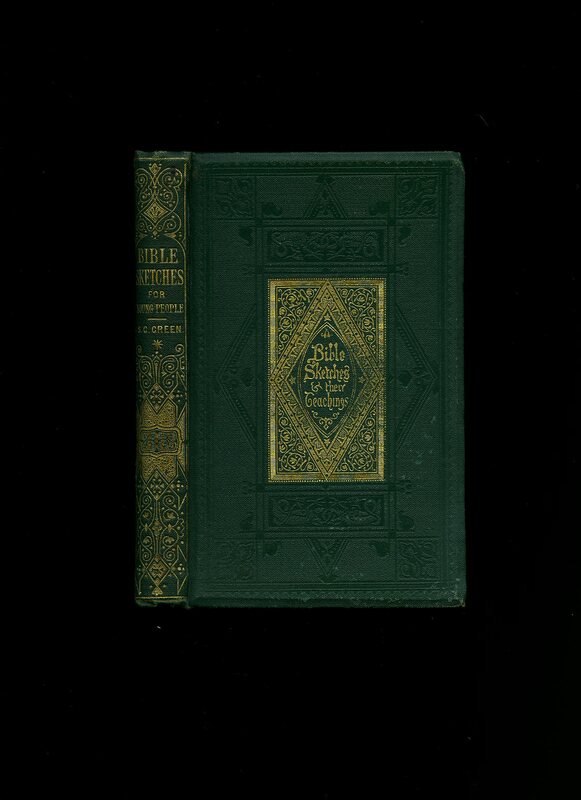 Hard back green cloth covers, gilt titles. 222, 2 [pp]. Wonderfully fresh and clear illustration of Roman soldier to spine, Roman palace and woman in robes to upper panel. A couple of spots to lower fore edge, message to the front free end paper. Corners sharp and pointed, spine tips turned in. In Very Good bright and tight condition. Member of the P.B.F.A. Published by The Religious Tract Society 4 Bouverie Street and 65 St. Paul's Churchyard, London circa 1900. 1900. 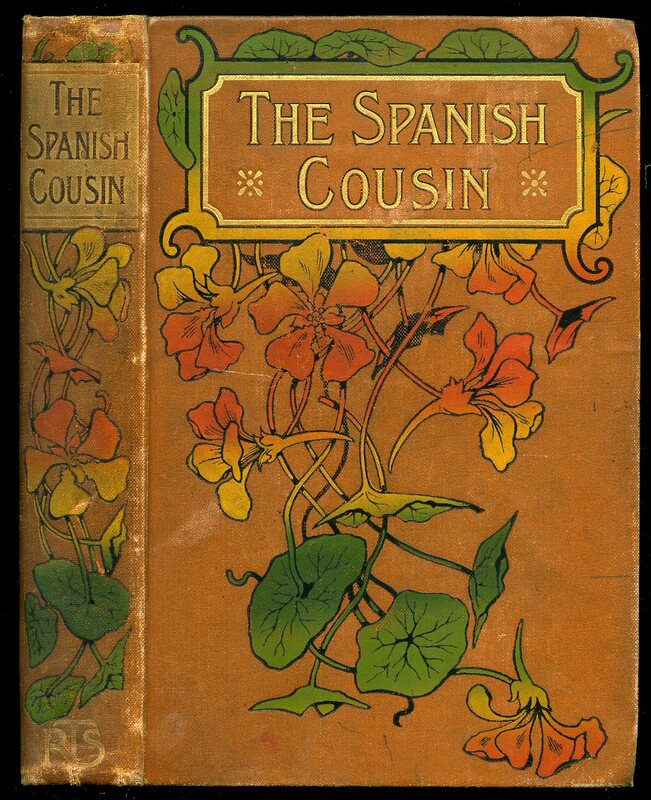 Hard back binding in publisher's original terracotta cloth covers, gilt title, author lettering and cream illustrations to the spine and the upper panel. 8vo. 7½'' x 5¼''. Contains 126 [xxiv] printed pages of text with full-page colour frontispiece. Colour bookplate to the front paste down, a little foxing to the page edges, without any ownership markings and in Very Good condition, spine not faded. Member of the P.B.F.A. 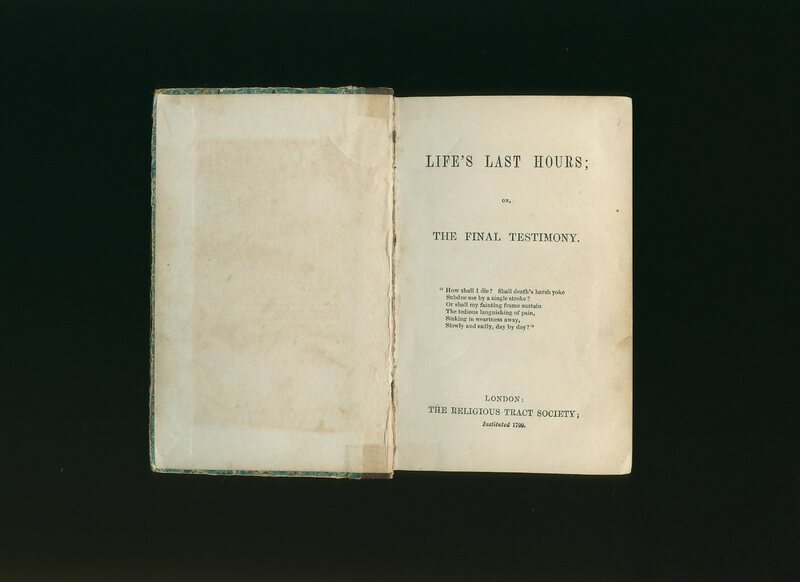 Published by The Religious Tract Society 4 Bouverie Street and 65 St. Paul's Churchyard, London. Hard back binding in contemporary covers. 12 mo 6'' x 4''. Contains 192 printed pages of text. Study condition copy with the rear board and end papers missing, text block clean. Member of the P.B.F.A. 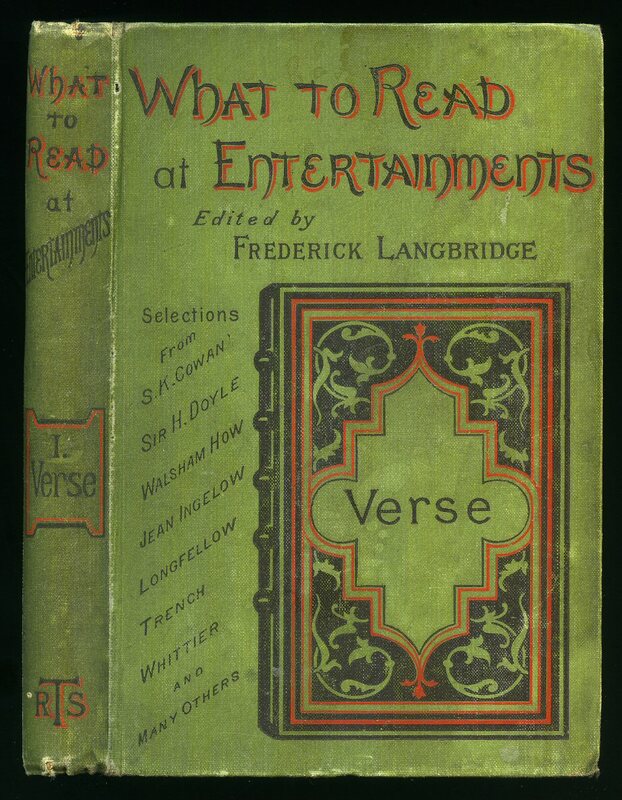 Hard back binding in publisher's original bottle green cloth covers with gilt title lettering and elaborate scroll work to the spine, framed gilt title lettering to the front cover. 8vo 7'' x 4½''. Contains 234 [14 page illustrated catalogue] printed pages of text with frontispiece. Ownership marking dated 1872, a little rubbing to the corners and spine ends and in Very Good clean condition, spine not faded. Member of the P.B.F.A. 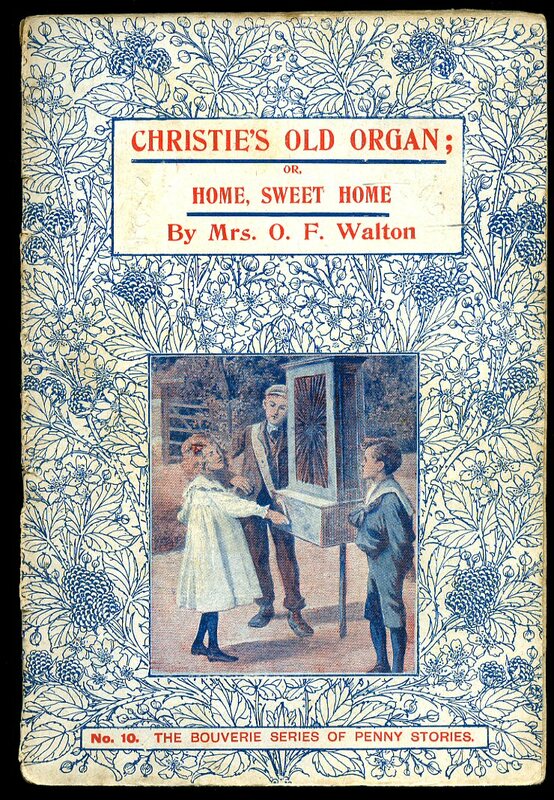 Walton, Mrs. O. F. [Amy Catherine Walton (9 August 1849 - 1939), born Amy Catherine Deck and better known as Mrs O. F. Walton, was an English author of Christian children's books. She was the daughter of an Anglican priest, married another and spent four years living in Jerusalem]. Published by The Religious Tract Society 4 Bouverie Street and 65 St. Paul's Churchyard, London circa 1910. London circa 1910. Publisher's original stapled paper covers with blue and white floral pattern to the front cover, orange title and author lettering and colour inset illustration to the front cover, attractive period blue tinted Fry's Cocoa advertisement to the lower cover. 8vo. 8½'' x 6''. Contains 32 printed pages of text. Light browning to the cheap paper, a little rubbing of the paper around the spine, no dust wrapper as published. We currently hold in stock 35 other titles from this series. Member of the P.B.F.A. Published by The Religious Tract Society 56 Paternoster Row and 65 St. Paul's Churchyard, London circa 1860. London circa 1860. 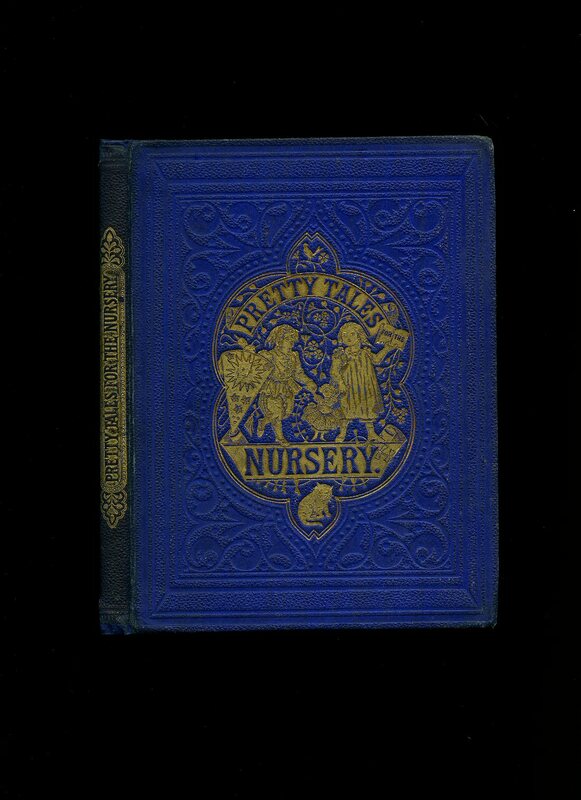 Hard back binding in publisher's original royal blue cloth covers re-backed preserving the original cloth spine, gilt title lettering to the spine, gilt vignette to the upper panel of three children holding hands, with a book, a kite and a small cat to the bottom, all page edges gilt. 8vo. 7¼'' x 5½. Contains 80 printed pages of text with 4 full-page attractive plates printed in colour by Kronheim & Co. along with monochrome engraved text illustrations. Ink ownership name to the front free end paper dated 1867 and in Very Good clean and bright condition. Member of the P.B.F.A. Published by The Religious Education Press Ltd., Headington Hill Hall, Oxford 1973. Oxford 1973. Hard back binding in publisher's original brick red cloth covers, gilt lettering to the spine and the upper panel. 8vo 8½'' x 5¼'' 238 pp ISBN 008006440X. In very near Fine condition, no dust wrapper. Member of the P.B.F.A. The Religious Tract Society 4 Bouverie Street and 65 St. Paul's Churchyard, London circa 1930 edition not stated. 1930. Hard back binding in publisher's original brick-red cloth covers, black lettering to spine and upper panel. 8vo 7½" x 5¼" 185, 4 [pp]. 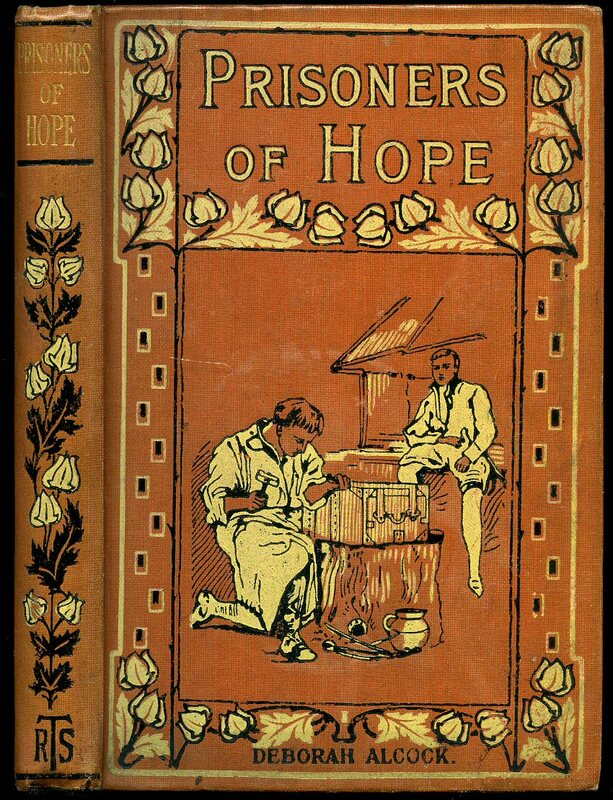 Colour frontispiece. 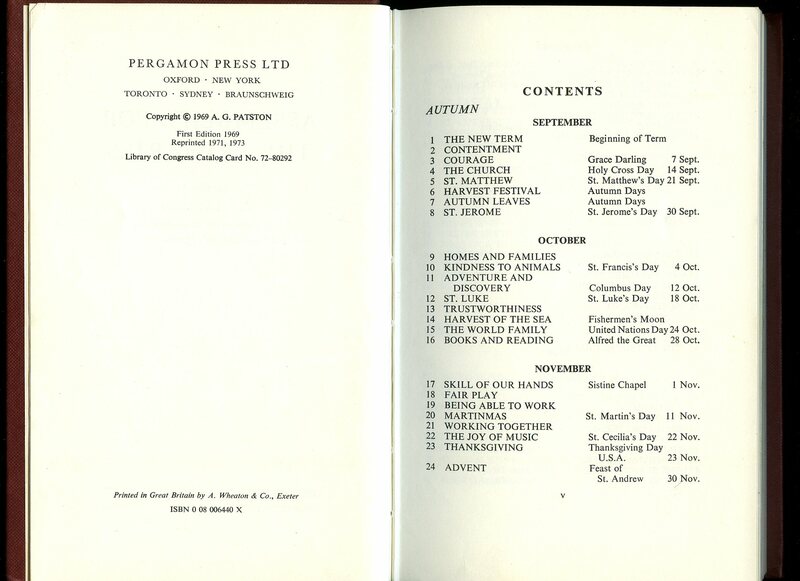 Prize plate to upper paste down, end papers missing, light foxing to early pages. Nr. Very Good in Very Good price clipped dust wrapper with shallow rubs to spine tips and corners. Dust wrapper supplied in archival acetate film protection. Member of the P.B.F.A. 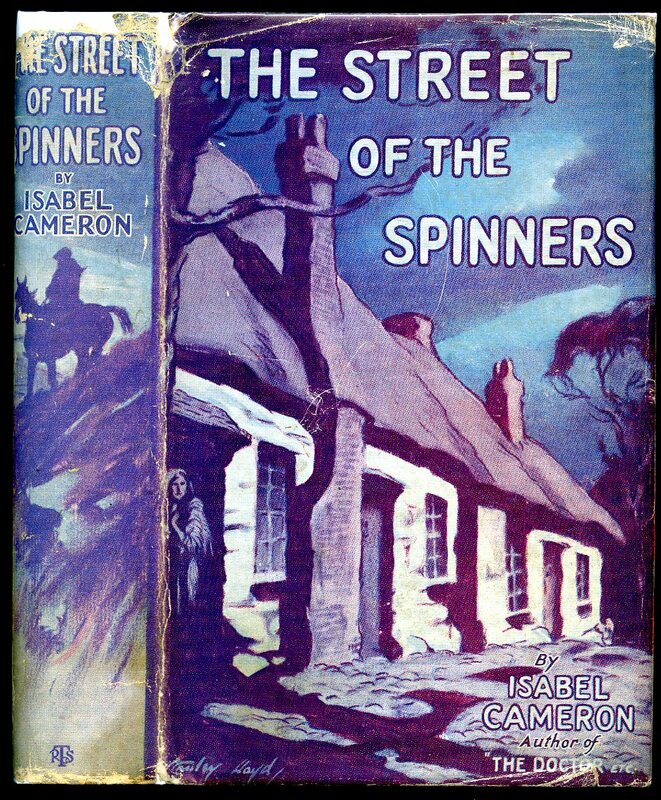 Hard back binding in publisher's original bottle green cloth covers, gilt title and author lettering to the spine and the upper panel. 8vo. 6'' x 5''. Contains 144 printed pages of text with monochrome illustrations throughout. Reading condition with front free end paper missing, hinges cracked but holding firm, light rubbing to the covers. Member of the P.B.F.A. Publisher's original stapled monochrome illustrated linen cloth card wrap covers, blue tinted illustrated end papers. 12 mo. 6½'' x 4¼''. 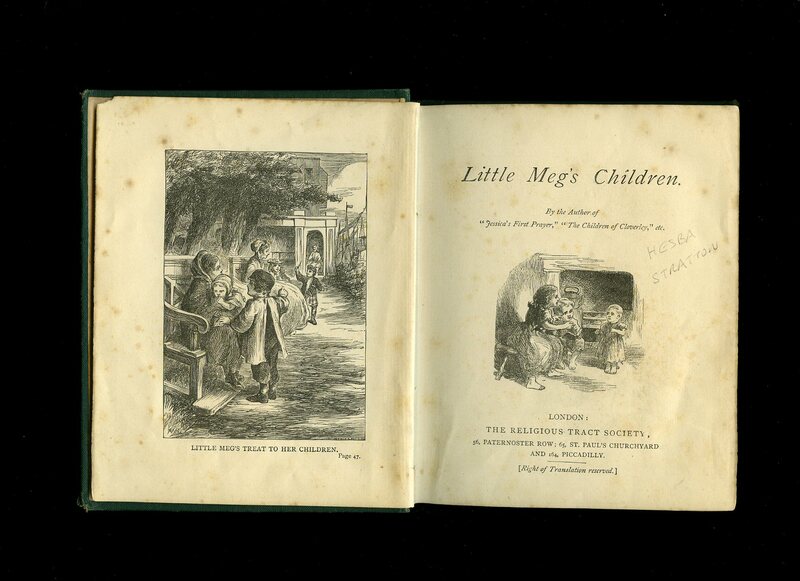 Contains 48 printed pages of text with monochrome frontispiece and engraved title page. Sunday School prize plate and in Very Good clean condition. We currently hold in stock 6 other Threepenny Book titles. Member of the P.B.F.A. The Religious Tract Society 4 Bouverie Street and 65 St. Paul's Churchyard, London 1888. 1888. 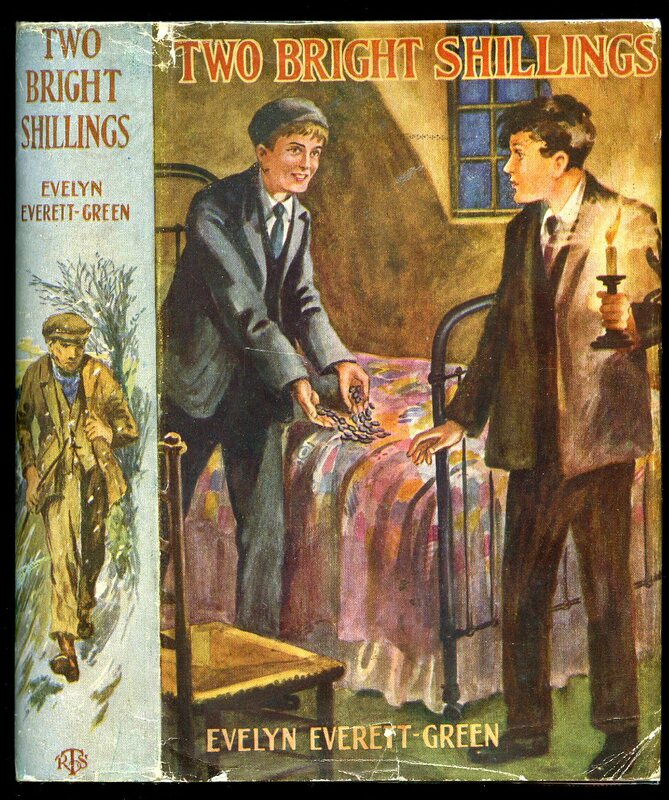 Hard back binding in publisher's original green cloth covers, black and scarlet lettering to spine and upper panel. 8vo 7½" x 5¼" 256 pp. Former bookplate verso to front end paper, slight age darkening to end papers and page edges, corners and spine tips turned-in and in Very Good condition. Member of the P.B.F.A. 16 mo 4'' x 2½''. Contains 4 printed pages of text with monochrome woodcut engraving to the top of the first page, sadly the covers are missing. 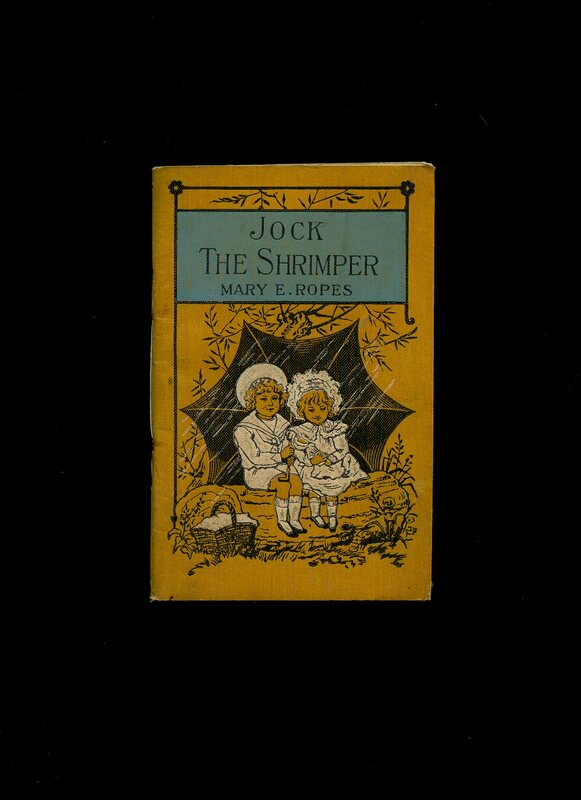 A scarce Chap Book style survivor of the early Victorian Religious Tract Society, and at the time, a popular religious education series for children. We currently hold in stock 40 other similar titles. Member of the P.B.F.A.